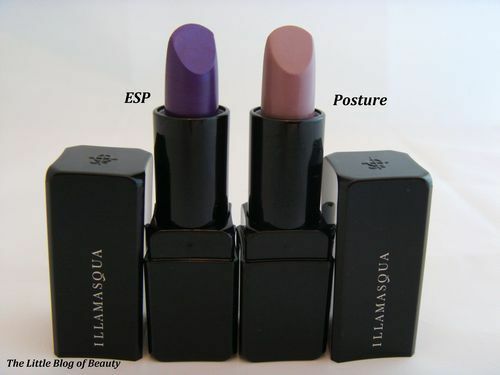 As well as the UV nail varnishes and UV top coat that I have featured recently, Illamasqua’s new Paranormal collection also features two new lipsticks which they have called ESP* and Posture*. 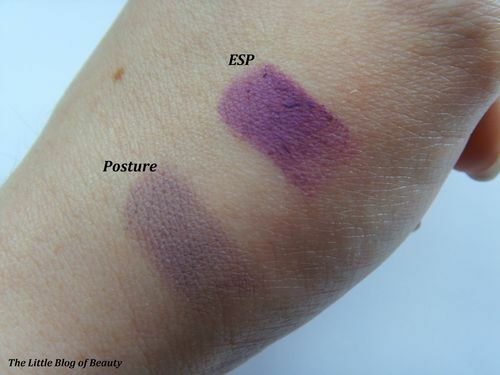 Posture is a cool mauve shade whereas ESP is a vivid violet and both shades come in a matte finish. 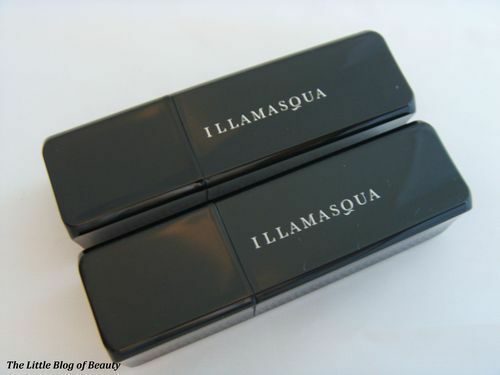 Unfortunately, the matte formula of Illamasqua lipsticks doesn’t work with my lips at all but I know that many people love their lipsticks and find them easier to use than I do. As these have a very dry formula you do need to try and warm them up a bit to make them easier to work with. I just hold the bullet against the back of my hand for a while before attempting to apply it to my lips. I found that Posture was the easiest to apply however this is very subtle colour which needs to be built up. 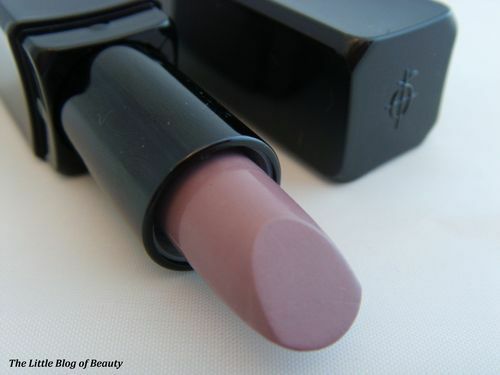 A problem I personally have with this shade is that it’s far too cool for me and unfortunately kind of makes me look like a corpse, which is an interesting look! 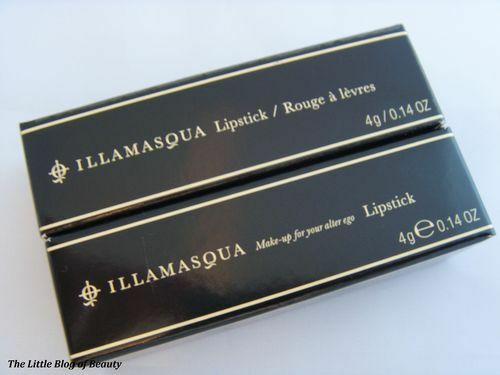 I might experiment with trying this over the top of darker lipsticks. 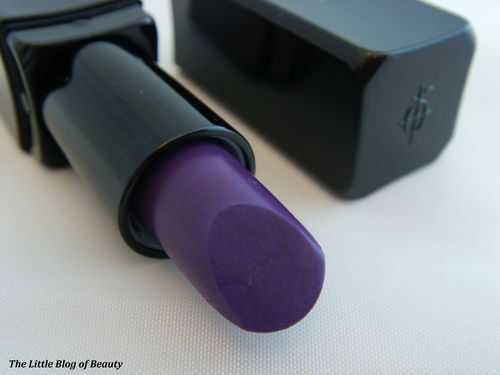 Purple is one of my favourite colours and ESP is an amazing purple shade that kind of has a marbled effect to it in the bullet. However, again this colour doesn’t really work on me. 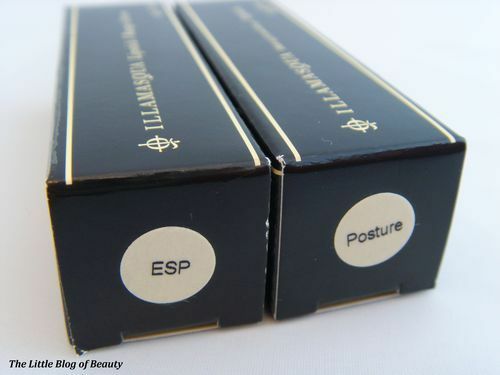 I also found this harder than Posture and very difficult to apply. It clung to dry areas on my lips (even though it didn’t look like there were any before I applied it) and it settled into the lines in my lips. 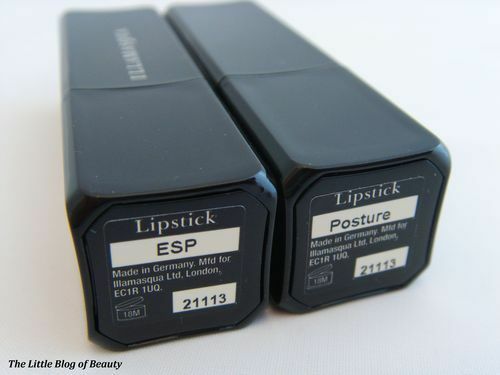 If you’re a fan of drier matte formulas (and can pull off these shades) then you may love these lipsticks but if your lips really aren’t keen on matte formulas like mine then these are difficult to work with.